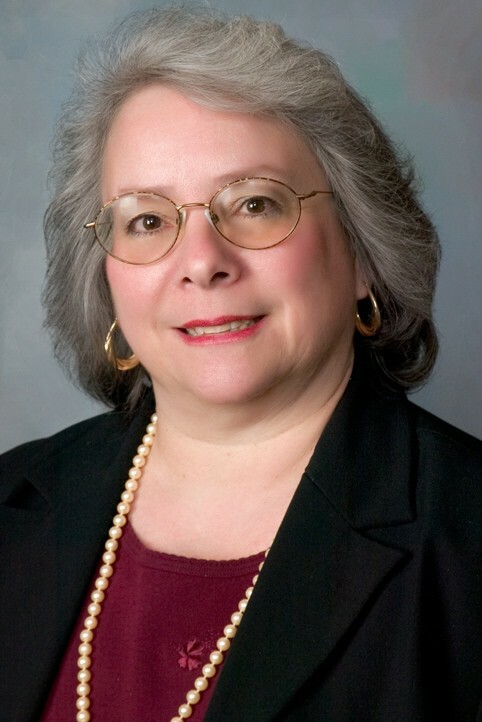 Ciao Pittsburgh chatted with Donna Ruccia Thompson, a New Jersey entrepreneur with a career of more than 37 years in publishing. Donna hails from a family of entrepreneurs, with one grandfather who was a shoemaker and another who owned a tavern. Her father, Hugo M. Ruccia, owned his own insurance agency, and both of his brothers were in business for themselves, too; Anthony owned a music store and Arthur was an obstetrician/gynecologist in private practice who went to medical school in Bologna (in fact, he delivered Donna; her sister, Cheryl; and Donna’s son, Benjamin). We wanted to delve into Donna’s past and learn more about her career as well as her Italian heritage. She was gracious enough to take some time over the holidays to respond to our questions. Donna: Publishing is my passion! So, I’m very happy to say that I own Woodpecker Press, LLC, where we help authors self-publish. We just celebrated our five-year anniversary. I also own a freelance editing business, drtEnterprises, LLC, where we’ve been providing editorial services for scholarly publishers for more than 10 years. We work mostly on manuscripts for engineering and medical journals and books. Another aspect of business that I truly love is public relations and helping others understand the benefits of PR and why they should embrace it. With the explosion in social media outlets, a business owner can really take advantage of this opportunity for media exposure. Letting people in your network or circles know what you do, what awards you or your business have received, your milestones, and your successes on a regular basis makes people take notice, and it increases your level of credibility in a noninvasive way. Of course, one must be humble about how these messages are delivered. Sharing good news is good for business. Donna: I’m a Jersey girl. I was born in Newark, grew up and spent most of my life in Cedar Grove, and now live in Bayville with my husband, Peter. Donna: My paternal grandparents were born in Benevento, Italy. On my mother’s side, her grandparents were Calabrese. Growing up we had great respect for our parents and grandparents, spent holidays and special occasions with family, and enjoyed the Italian traditions. I took two trips to Italy in the ’70s. In Junior year of high school, I went on a typical class trip to Italy, with my mother, Julia, as one of the chaperones. We had a blast, and with her there I was able to buy a prom gown in Rome. We also visited Naples, Pompeii, and Florence. It was an amazing trip filled with culture, fantastic foods, such as Fettuccini Alfredo at Alfredo’s in Florence, and visits to historic spots most only read about. We were even able to get Papal Blessings, which I still have today. And, then as a college graduation present, my uncle and aunt had me join them in Italy to spend a week on the Isle of Capri at Punta Tragara. Wow, what an experience that was. It was an exclusive location with a wonderful view. It was truly an Italian vacation with lots of great food, swimming, boating, shopping, and stops at some outdoor cafes. I even bought my first oil painting at one of the art galleries on the island. Every time I look at it, it brings me back to the beautiful Isle of Capri. Donna: Our Christmas Eve celebration was my favorite tradition. It lasted for hours. There was Italian music playing and plenty of Italian food, with an abundance of seafood (at least seven fishes) on that night. Antipasto, dinner, and then, finally, the desserts…cannoli, sfogliatelle, struffoli, biscotti, and Italian ricotta cheesecake. Although less frequent, I’ve also enjoyed the Feast of Saint Gerard. Again, the Italian music, watching the statue covered in dollar bills being carried through the streets, and the smell and taste of zeppoli covered in powered sugar are things I will never forget. Donna: Being Italian is a way of life. It’s all about family being at the core, with all things revolving around it. It’s funny, growing up we only ate Italian bread. We had it for sandwiches, toast with our eggs, and French toast, too. It was used for bread crumbs in our meatballs and toasted and cubed for use in salads. Our lunches were salami or bologna on Italian bread, mostly panelle. There was no white bread or peanut butter and jelly sandwiches. And pastries were always Italian pastries. Appetizers were always Italian, too. That’s how we ate. It was an Italian way of life. So, when I started going to school, it was such a surprise to me that everyone else wasn’t eating what I was eating. Similarly, when my future mother-in-law (who was English and married to a Dane) asked me to bring mini pastries to a party she was having, I was confused when she opened the box of beautiful mini Italian pastries and said, “What’s this?” I explained that they were mini pastries, but apparently she was expecting mini Danish pastries, which was a shock for me (and for her, too). I thought of Danish as a breakfast food that you got at a restaurant breakfast buffet. 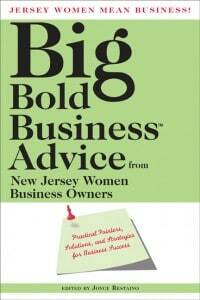 Donna: In 2010, I was approached about publishing a book compilation that would showcase the expertise of New Jersey women business owners, help entrepreneurs and business owners succeed in business, and raise the level of credibility of the contributors with a “published author” achievement. I’m very proud to say that Jersey Women Mean Business! 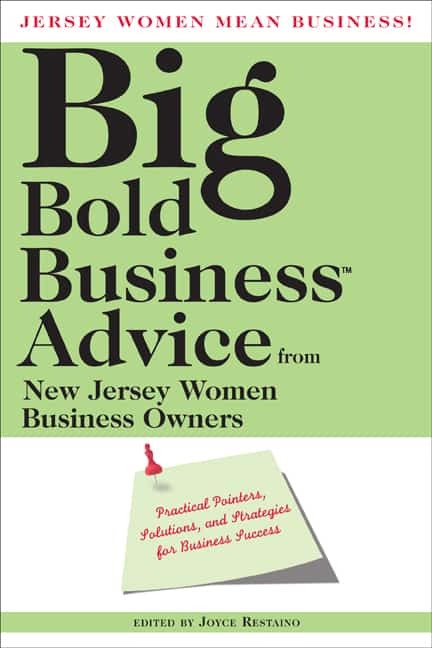 Big Bold Business (TM) Advice from New Jersey Women Business Owners: Practical Pointers, Solutions, and Strategies for Business Success was published by Woodpecker Press in the summer of 2012 with 72 contributing authors. Additionally, the book won a Bronze Medal in the 6th Annual Axiom Business Book Awards the following year. It was very fulfilling to see the excitement of the contributing authors at the book launch when they received their first copies of the book. The celebration was great; everyone enjoyed signing each other’s copies. It was a real thrill for me and them. We plan on publishing additional volumes in the Big Bold Business Book Series, with both New Jersey and New York volumes, and hope to expand the series with state volumes across the U.S.
Donna: I’m a birdfeeder enthusiast. It’s so interesting to see the variety of birds that come to our feeders during different seasons. Cardinals, woodpeckers, and gold finches are most interesting to watch. During spring and summer we also enjoy the antics of ruby-throated humming birds. They are speedy little creatures. We live on a lagoon, where an assortment of water fowl show up regularly as well. In winter, the diving ducks are fun to watch. Donna: Working in an area you’re passionate about is a wonderful thing, but don’t let passion override logic when it comes to business. Always keep your eye on the bottom line. Passion without profit will not support you and your business. Donna: Business owners and entrepreneurs should embrace the opportunity to share their expertise and ideas. In networking situations, resist hard-sell tactics and be a good listener instead. Offer sincere suggestions if someone is looking for advice on a topic you understand. Being helpful to others with your information and insight will establish you as a leader in your field. Ultimately, this practice will cause people to think of you first when they have a need your business can fill or a problem that your company can solve. Donna: As someone who loves publishing and public relations, I believe book compilations are important for business owners, both as a marketing investment and a public relations tool. Writing a chapter for a book compilation allows you to share your expertise for less than it would cost to publish your own book or to pay for a business profile in a magazine, and a book lasts a lifetime. In addition to the advantage of the credibility that comes with becoming a published author, as one of many contributing authors to a book, you gain an immediate readership of the other contributing authors and their circles of influence, who will get to know you and your business through your words.